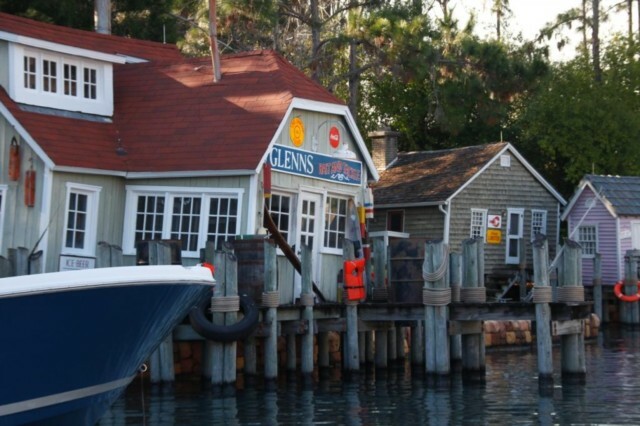 If you have seen the film ‘Jaws’, and in all honesty who hasn’t, you will want to take this ride if only to see how the film has been adapted into a theme park attraction. 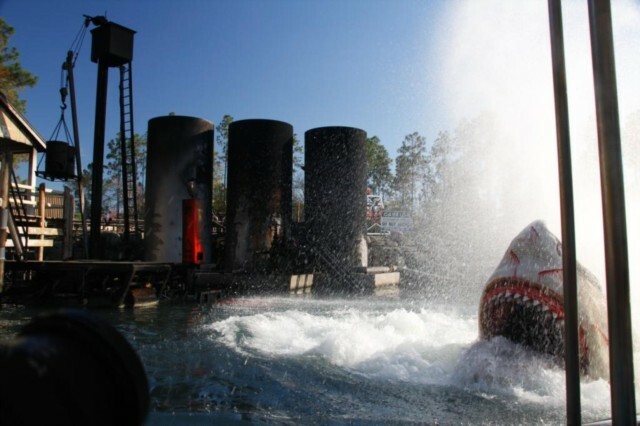 Jaws is a five minute water ride, so if you don’t want to get wet you might want to give this one a miss. 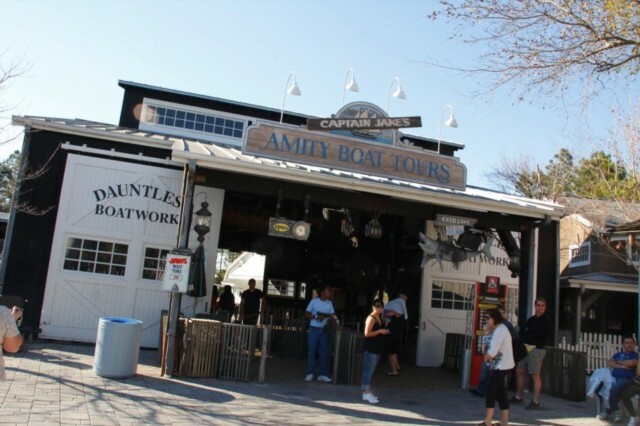 However, getting wet is all part of the fun and it’s not as if you will get a soaking on this attraction as it all depends in which part of the boat you are seated. If you want to add an extra spark of excitement, take the ride in the dark! 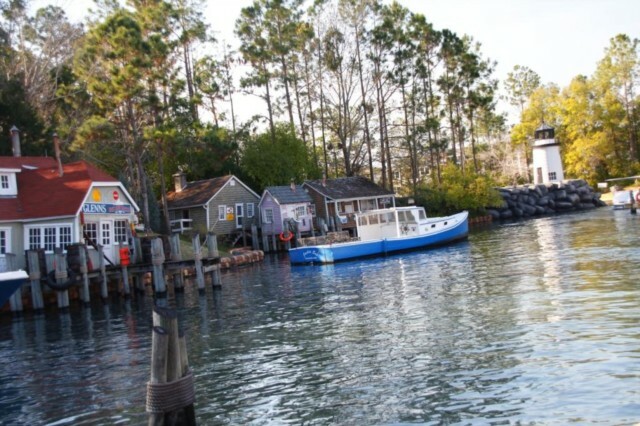 The attraction begins with a leisurely boat ride around the harbour in the small New England village of Amity. It is not long before you are told that there is a great white shark in the waters around you. As you turn the corner you see a sinking tour boat on your left, could that be the same boat we saw leaving just as we were boarding our own boat? This is when the adrenaline kicks in, as you are not sure when or where the shark is going to attack. If you have very young children or anyone of a nervous disposition with you, you may want to seat them on the inside of the boat. A fin appears from beneath the water and then you feel a small thud as the shark swims beneath your boat. When the shark appears it can be very close, so you have been warned! We take refuge in a dark boathouse and hope the shark will go away. We couldn’t be more wrong as Jaws crashes through the wall. Terrified we take off again as Jaws lunges at us once more but this time he bites through a fallen electric cable and the shark is history. Phew, my nerves can’t take much more of this! The skippers on the ride all add to the tension and excitement. 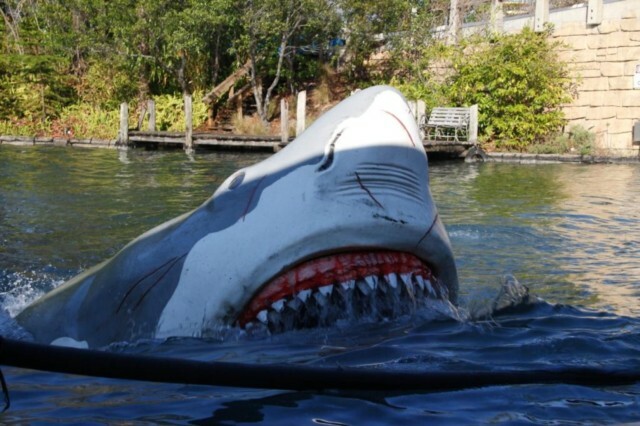 We have yet to get a bad one and we have been on Jaws numerous times during our visits to Universal Studios. I still jump when the shark emerges from the water, even though I know it’s coming! 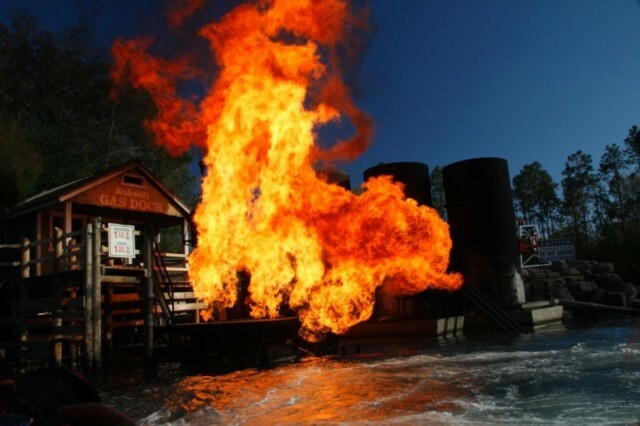 The ending is literally explosive and the effects are very impressive. 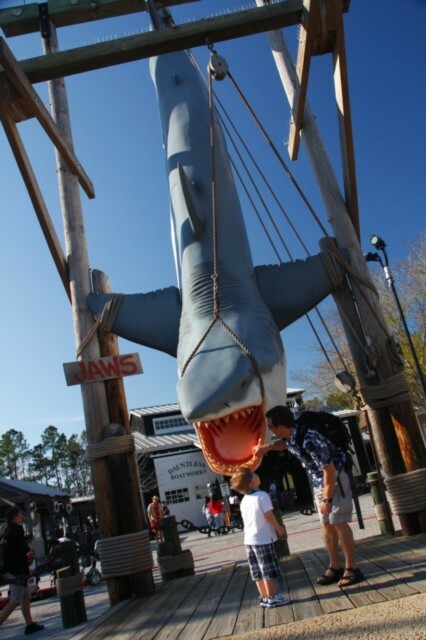 All in all we enjoy Jaws every time we take the ride. We always feel as though we are right in the middle of the action. Long may it continue! Viewed 3937 times since 17 November 2011. Better get out the water! Shrek Quiz - How much do you know about Shrek?